A second workshop was organized by techtronix on April 3, 2017 on the subject of Web Development, an imperative topic to understand the fundamentals of IoT. The 2 hour session started at 3 pm in room no. 228 and was attended by 38 students from 1st,2nd and 3rd year. The speaker of the session was Abhishek Bansal. 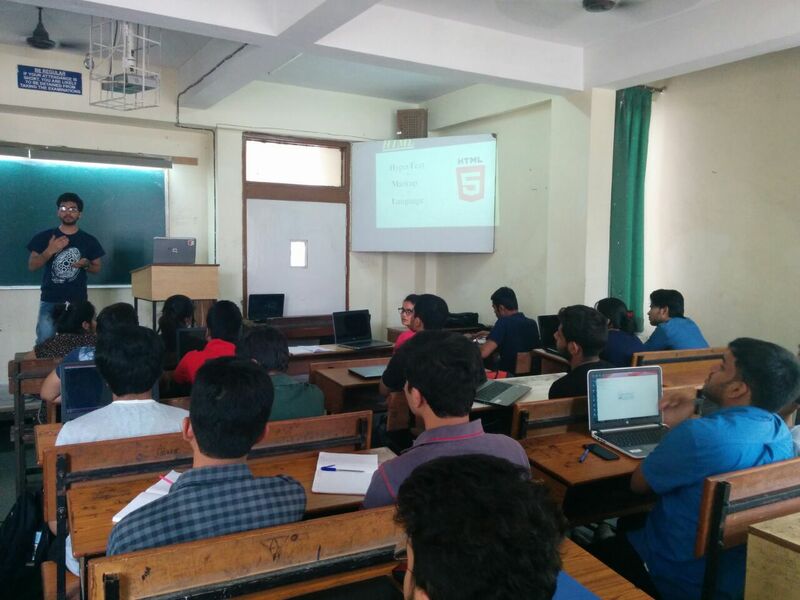 The attendees were taught essentials of HTML, HTML tags, CSS fundamentals, styling with CSS and CSS box model and positioning. By the end of the workshop students learned how to fabricate, design and structuretheir own webpages. Subsequently a small project was undertaken imitating Google’s homepage which further made the concepts comprehensible.